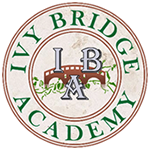 IBA Summer Camps in Alpharetta, Ga.
Ivy Bridge Academy in Alpharetta, Ga (30022) is offering after-school & Summer Camps in Debate, Math, and English. Our Summer Camps provide an interactive fun learning environment for children in Elementary, Middle and High Schools. Prevent summer brain drain and give your kids a step up with IBA’s Academic Summer Camps conveniently location in Alpharetta, Ga. Registering Now for Summer Camps in Alpharetta, Ga.!